The bright and sunny aroma of a freshly zested lemon. COMMENTS: Love this EO and will buy again! COMMENTS: This oil smells so amazing. COMMENTS: Smells amazing in my soap. Such an energizing sensation. Definitely recommend purchasing this. COMMENTS: Very nice fresh lemon scent-, however I wish it were a little stronger. I needed to use more than usual for my bath bombs. • Perhaps a stronger infusion of lemon. COMMENTS: Smells sweet, fresh and bright just like a lemon. I use this in my liquid facial washes. A little goes a long way, being careful with the amount because too much will be too drying on the skin. I also use this in my all round Kitchen Cleaner -- works great cutting grease and grime. Its perfect ! COMMENTS: Very nice citrus scent worked very well in bath fizzy cupcakes. COMMENTS: I use this in soap and body creams as a citrus blend and it is wonderful. My favorite scent. COMMENTS: I love this essential oil! It pairs wonderfully in both fragrance and essentials. I use it whenever I want to lighten up any of my more heavier scents. It's a definite must have in your soaping pantry. It behaves well in CP soap. Just delightful. COMMENTS: This EO is just like fresh cut lemon ... Perfect!!! COMMENTS: This Lemon EO is awesome - pure, fresh and stays beautifully in everything I use it in! COMMENTS: I used this in cold process soap and it was a perfect light scent that was not overpowering. May have to find a yellow colorant to add just for appearance! • happy mood ehancer I believe. "Essential Lemon Oil-a gift from Mother Earth"
COMMENTS: This product is medicinal as well as pleasant to smell. I make body butter and lotions which I am proud to give to my large family and friends. I constantly get feedback of different problems it has helped. My granddaughter and I both use it for eczema. My doctor keeps some handy as she washes her hands so often and it helps prevent dry skin. All the Vet techs say the same. They are always so happy when I resupply them. Lemon has healing qualities so combined with honey or sunflower oil and other good ingredients in the lotions and body butter it makes for an excellent product. COMMENTS: Smells great in my citrus soap. Just like I expected. "Great Quality at a Low Cost"
COMMENTS: I don't want to name any companies but there is one that I had tried for essential oils. In comparing the 2, side by side, this oil smelled the same but was much more pure and better overall quality for a MUCH more reasonable price. One of my favorite recipes is a pillow/linen spray for congestion relief and I think this outlasts the other brand. I have been recommending this to all of my customers. COMMENTS: I love lemon scent and this smells so good! COMMENTS: the aromatic factor is weak in my opinion but i will use for the price! COMMENTS: I was tired of buying my EO oil, over the counter in discount stores. I use Lemon oil in a wide variety of products and the tiny bottles at the chain stores weren't worth the expense. This oil feels like a higher quality product at a much better price. The scent load in the products are about the same but I feel like this product produces a truer fragrance. It smells less manufactured or perfumed like some other oils. To me, it smells like a freshly sliced lemon, as it should being Pure 140. 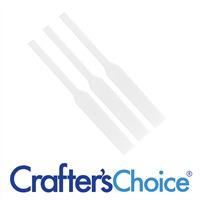 Some places promise purity, but WSP and Crafters Choice actually deliver. COMMENTS: This lemon essential oil behaves normally in my cold process goat milk soap. I blend it with lemongrass essential oil for a very nice clean refreshing bar that is one of my top sellers. COMMENTS: This lemon smells like it's supposed to & performs well in CP soap & blends nicely with most everything else....gives a boost to blends. It's a staple in my supplies. COMMENTS: Just what you'd expect. Clean ,fresh + bright. WSP has very good quality oils. Both in FO and in EO . COMMENTS: I really like this EO. I used in my sugar scrubs and plan on making a lemon poppy bath bar soon. "this is an all time fav." 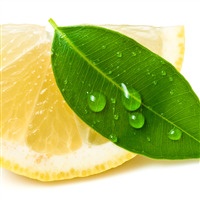 COMMENTS: Provided a lemony fresh fragrance to natural skin care products. COMMENTS: I love this Lemon essential oil. It of great quality and I use it for multiple products! COMMENTS: The only reason I do not give this 5 stars is that I had to use A LOT to achieve a strong smell in my bath bombs. I ended up switching to a fragrance oil instead of this because it just wasn't potent enough. COMMENTS: THIS PRODUCT IS A MUST BUY!!! I USE IT FOR ALL OF MY PRODUCTS INCLUDING MY LINEN SPRAY. COMMENTS: I have not been disappointed yet by this essential oil. True lemon. I'm very sensitive when it comes to smells. This is such a good product & it holds up well in my soaps. COMMENTS: a nice & pure essential oil that smells just like you would expect it to smell, very refreshing and lemony =) I use in my dishwasher and it smells amazing.. COMMENTS: I love citrus scents! COMMENTS: Great lemon scent. Works well in CP soap. I experienced no issues. COMMENTS: I love the quality of all wsp essential oils, never off smelling or chemical smelling like some others. "Crafters Choice™ Lemon EO- Certified 100% Pure 140"
COMMENTS: Crafters Choice™ Lemon EO- Certified 100% Pure 140 worked wonderful in my cold process soap.. It holds up really well.. COMMENTS: This essential oil is strong and one of my favorites. I use it in all kinds of o ducts. COMMENTS: I only have to use a small amount of this eo to make a Honey/Lemon cp soap, it's very potent. It behaves very well through the soaping process and retains the rich lemon scent. With my honey/lemon lotion I'm careful to tell my customers that the eo can make their skin photosensitive right after applying. "Nice but not as strong as I hoped "
COMMENTS: This isn't the nicest lemon EO I've used but it isn't bad. The scent isn't strong and more is needed as a result. "MY PRODUCT REVIEW ON THIS ITEM"
COMMENTS: MY HOUSE SMELLED OF FRESHLY SQUEEZED LEMONS AND I RECEIVED NUMEROUS COMPLIMENTS! I WILL CONTINUE TO USE YOUR PRODUCTS THEY ARE THE ABSOLUTE BEST!! COMMENTS: All of WSP's essential oils are top notch and this is no exception. Fresh and zesty. COMMENTS: Very uplifting - love it. "For the Love of Lemon!" COMMENTS: Lemon is one of my favorite scents and this essential oil is awesome. It does well in my cold process soaps, face wash and anti aging serum. COMMENTS: i use lemon in almost everything for personal soaps and lotions. it works great balancing out my oily skin. "Watch the temperature with this essential oil." COMMENTS: I love this Essential Oil, but I have found that it will burn off if I add it too early. I wait till the melt and pour temperature is about 125 F.
COMMENTS: This lemon essential oil smells so good, it holds well in my cold process soaps and my customers love that it is natural lemon oil. COMMENTS: Tried to make the Fisherman's soap and I loved this Lemon EO fragrance. Not overpowering. Did not get any headache when using it. COMMENTS: I used this in a batch of my facial butter/cream with the lavender EO and it came out perfect! It's so uplifting together and perfect for face cream! Bought a small bottle to try since it is a little expensive but definitely worth the price! COMMENTS: I use this lemon EO frequently and it is of great quality. I will continue to purchase from WSP. COMMENTS: This is an excellent product and I will continue to buy it here. COMMENTS: Mixes well in my MP soap. COMMENTS: This smells great, a little goes a very long way! Highly recommended. COMMENTS: Easy to work with and great scent. 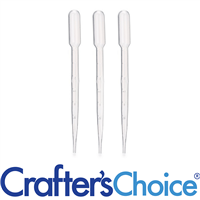 I used this in the cuticle cream kit and they smell great! thanks! COMMENTS: This is the real deal and smells just the way you think it should: like lemons! A little goes a long way, even in the 2 fl oz jar. Love it! COMMENTS: I prefer to use EO's rather than synthetics, this one is great to have on hand. COMMENTS: Will buy again. I mix this with other FO and EOs in CP and MP soap. COMMENTS: Smells great. I use this in my citrus body butters and it rounds out the citrus scent. I will reorder. COMMENTS: This essential oil is my favorite!! I was worried that the scent would fade in my CP soap but it hasn't so far. Will order again!! "You would think it was a real lemon in the bottle!" COMMENTS: I used this in the 3 butter cream and also in aloe. It smells so invigorating and as clean and fresh as you can imagine! It is incredible as long as you truly love the clean smell of a fresh real lemon! It is a favorite among my friends. Open the bathroom door and the entire room smells incredible. LOVED IT!!! COMMENTS: My customers love this zesty EO and it can be used for many different applications. "Lemon EO- Certified 100% Pure 140 "
COMMENTS: Smells like the real thing!!!! I love this in my lemon-lime scented soaps. COMMENTS: Great lemon scent. Used in soap but doesn't last long. Seems to last longer than the orange tho. COMMENTS: We will only order this product from this company. We've had other EOs before that weren't as strong. This is like grating a fresh lemon right into your product.
" Lemon EO- Certified "
COMMENTS: I bought this to blend in my thieves oil and it worked perfectly. Good product. Thanks for offering it! COMMENTS: I use this oil for everything! Cleaning, soaps, candles, lotions, scrubs and anything else I can think of. It smells delicious! COMMENTS: I loved it! It has a lovely fresh sweet scent of lemons. I am definitely going to be buying more. COMMENTS: Love the fresh, clean scent. Cheaper than other brands I found in my local health food store. Very good value. COMMENTS: This lemon is really great! The scent is citrus so it doesn't STAY very long in CP soap, but blended with a little bit of LITSEA CUBEBA it goes a long way! I also use this lemon oil in the household for permanent marker, greasy spots, sticky spots, pen markings, pencil markings, etc. I ALWAYS have it on hand! It WORKS BETTER than commercial sticky spot removers. COMMENTS: Smells like fresh squeezed lemons. So clean and refreshing. This came in a kit, but will definitely reorder. "Love this natural fresh scent"
COMMENTS: I love using this EO in lip balm and also pairing it with lavender in my sugar scrub. It has a wonderful fresh lemon scent! COMMENTS: I love love love lemon! This scent is amazing! Can't wait to use in cp soap. Wonderful price as always. COMMENTS: Great price. Great scent. Easy to use wide mouth jar. COMMENTS: Love this Lemon EO! I make lemon poopyseed scrubby bars and customers love them. I also diffuse this scent for an uplifting and energizing effect. COMMENTS: A super good lemon smell to this one! It went too fast and I need more. It is so refreshing and clean smelling! • A real lemon smell! COMMENTS: I love making my kitchen soaps with this sent. I add just a bit of freshly zested lemon and sweet orange as well and it just makes the best scent! COMMENTS: I was very pleased with the way this EO acted when used in CP soap. I will definitely purchase it again. COMMENTS: I used this in a CP soap and it is excellent!!! Delightfully crisp and does not affect the color of my soap! Very Happy and will order again! COMMENTS: I used this in a deodorant recipe with other essential oils. It has a light scent that didn't irritate in small doses. Went well with tea tree oil. COMMENTS: This oil is a great quality! It mixes well with other EOs and fragrances and doesn't fade! COMMENTS: scent holds up good in hp and cp soaps will purchase again. COMMENTS: Good quality EO, perfect for blending. COMMENTS: Holds up well in cp soap, good quality and price. COMMENTS: I love this Lemon EO! I use it in an all EO soap with some other citrus EO's and ylang. It makes such a happy soap! No acceleration, and I can't speak on discoloration as I always color the soap. If it does, it's not enough to make a difference. COMMENTS: Smells like fresh lemon. COMMENTS: This EO is great! It seems very fresh to me. Lemon EO has great properties to it, its a must to keep around! No complaints here! COMMENTS: Beautiful lemon oil at a beautiful price!! COMMENTS: loved this leomon essential oil smells wonderfull, used it in my cold process soap will reorder more. COMMENTS: I absolutely ADORE this essential oil! I've used it in two batches of my Lemon Poppy soap with great results. It isn't cloyingly sweet or overwhelming, just pure great lemon. The scent has held well, I believe - I made the first batch about a month ago and it still has a great, natural lemon scent to it. Not as bright as when I first cut, but it is definitely there. Did not anchor with any other EOs, might possibly pair it with a little litsea cubeba in my next batch, but overall VERY satisfied. No acceleration or ricing issues. I added turmeric to my batch, so uncertain if this discolored my soap. "Fresh, clean, & uplifting Lemon"
COMMENTS: I use this Lemon EO in my LemonVanilla Hand & Body Lotion... it's one of my best sellers! It's scent is so clean & fresh & uplifting, it's blended with Lavender & Vanilla in a natural base... blends easily & stays true. I also use it in our Massage Oil Candles at Holiday time. Love it! COMMENTS: I love the smell of lemon ~ I think it is refreshing and rejuvenating. If using in CP soaps, citrus can sometimes have a tendenancy to fade a bit, but I use a little powdered clay like kaolin or bentonite to help anchor the scent. It also helps to blend it with other EOs for more staying power. COMMENTS: Clean and fresh scent! I blend with other oils to make a disinfectant spray for my house. Smells wonderful! COMMENTS: I used this sent in a shea butter lemon poppyseed soap and the sent was wonderful. COMMENTS: I have been delighted with this Lemon Essential Oil, the quality is just as good as some of the more expensive brands I have tried in the past so it is a keeper! COMMENTS: this smells so refreshing and it gives my products a nice bright scent!! COMMENTS: WSP Lemon essential oil smells so fresh! Though the scent mellows out a lot given that it is a citrus oil, the scrub that I used it in definitely still smells enough like the original that I will buy it again and again. Can't wait to make this into a soap! COMMENTS: It has a nice, light smell that is not too strong, but you still get a great smell. Mix it with a little honey and vanilla and it smells like fresh squeezed lemonade. who wouldn't want to take a shower with that soap! COMMENTS: This worked great in melt and pour and anchored with a little litsea cubeba in cold process. COMMENTS: Love this EO! I did have a bit of an issue with it staying in CP, but with it's low flashpoint & the amount of milks I put in my soaps, it probably flashed. Wish it had a higher FP, but what can you do? I, personally, can't stand Lemongrass or even Litsea Cubeba, but if you had a nice Palmarosa ;) I'd purchase that, this & some benzoin to help fix the scents. Will always purchase this EO regardless, as I love a true Lemon. Would LOVE to see Palmarosa added to your EO'S too!! COMMENTS: This real lemon scent is fantastic. It smells simply divine when mixed with rose fragrance oil in my creamy body lotion & it makes a luscious sugar scrub. I found that the scent faded quicker than I had hoped, so I now use more fragrance and add a stabilizer. BEST LEMON SCENT I HAVE FOUND ONLINE. COMMENTS: This EO was used in a batch of Aloe M&P soap. It turned out great. Very nice citrusy, light scent. COMMENTS: Exactly as it should be - pure, bright, zesty lemon. This does not hold well in CP soap, so I would advise that Litsea or lemograss be mixed with it. COMMENTS: I use this Lemon EO in my hot process soap. My favorite use is in my Lemon Verbena soap. Paired with Lemongrass EO and some dried lemon verbena leaves the smell is amazing and it flies off the shelf. Thank you for providing such high quality essential oils! COMMENTS: Not only is this a great smell for any bath and body product, it is also very useful for cleaning and de-gunking. A drop of this will help get rid of sticky residue, old labels, gum, etc. COMMENTS: Smells great! I use this blended with other oils to make a great all natural bug spray. COMMENTS: Was worried after I placed an order for this because I read online that citrus based oils tend to fade. This Lemon Essential Oil stayed strong, and my friends absolutely love LOVE the fresh scent. Spring is in the air with this one! COMMENTS: Not as strong as Lemon Grass but has a nice scent. COMMENTS: This is a great scent and it smells so good. I use it in air freshener and it smells great. COMMENTS: I purchased this EO to be used in lip balms, but I love it in everything. Like fresh lemon zest! So worth the price. COMMENTS: Oh my goodness I LOVE this EO! It smells like I just picked a lemon off the tree and squeezed the smell right into my soap bases. Soap smells wonderful in finished soap. COMMENTS: I later heard from another experienced soapers that citrus EO don't do well in CP because the lye destroys the citrus smell. I will try it in rebatching soap next time and use citrus FO for CP instead. COMMENTS: I used this in my cleaning fizzies. A little goes a long way. Drop a cleaning fizzie tab in the toilet and it smells lemon fresh! COMMENTS: I love the C.C. citrus E.O. So wonderful and a little goes a long way. COMMENTS: the only lemon we use. can't beat the price. COMMENTS: This is a good quality oil, nice and strong. COMMENTS: I use this in many things, from cleaning products to lotions. Nice refreshing scent. COMMENTS: Love this product and great price. Will for sure be back for more! "Lemon 100% pure essential oil is amazing "
COMMENTS: I have tried other brand of the lemon 100% pure essential oils before but I have noticed after just 2 weeks crafters choice lemon essential oil has surpassed any other brand I have used by far!!! I also use it to clean many surfaces in my home. I also use it in my diffuser gor the invigorating freshness it gives my home!!! I live this stuff,I have made tons of chapsticks with the lemon oil and giben it as gifts which all of my friends rave about!! I have used it most recently in a face cream to lighten dark patches on my skin and with the before and after photos it is proving itself to work wonders all over the body and home!!! COMMENTS: I love this lemon in sugar scrubs and find that only a little is needed for a great lemon scent. It's a great price and quality and a perfect lemon scent. It smells just like a ripe lemon. "Lemon EO- Certified 100% Pure "
COMMENTS: My actual primary use for this was to make hand sanitizer but I didn't see that as an option. My mother is in charge of Infection Control at a local hospital. As new employee favors she was ordering hand sanitizers to pass out. I told her I would try to make her some for a better price. I did make some and they turned out wonderful, however, I couldn't beat the price after I added up all the ingredients. I will make more for personal use and I will find other things to use this EO in. COMMENTS: true lemon scent. Held up in all my products and blends. COMMENTS: AWESOME VALUE on a traditional scent! I won't buy lemon EO anywhere else again! COMMENTS: Great smelling lemon EO, combined it with Lavender and it has been very popular. Works well in CP soap, soaping at room temp. Recommended. Thanks WSP! COMMENTS: I love this lemon eo! I have added it to CP soaps and liquid suspension soaps blended with tea tree! Flies off the shelf! WSP Response: Hello Constance, Citrus EOs do tend to fade in CP and HP soap. For this reason we suggest using them at 1TBS. per pound of oils or 6% of your oils. I would also recommend that you add the EO at the end of your cook to avoid any burn-off in HP. Thank you for your review! COMMENTS: Doesn't surprise me. Love this EO! Smelled just like a lemon. COMMENTS: I manufacture my own essential oils and cannot hit the same notes as WSP. I like WSP's lemon essential better than my own! It is a great essential oil for cleaning products. COMMENTS: Love this Lemon Essential Oil. Natural strong lemon scent that stays well in all products. I cant be without it. Once you try it, you will never try another. COMMENTS: I am very pleased with this bright lemon scent. I usually mix it with another essential oil and add some clay or oatmeal to the recipe and that helps the scent stick longer. COMMENTS: Wonderful price and top notch as always WSP! COMMENTS: This is one of my favorite EO! It is simply Lemon!!! I use it in my Lemon-Lavender soap and it is just perfect! COMMENTS: A great EO. Smells just like peeling a lemon. Performed great in CP soap, I blended with Eucalyptus EO. COMMENTS: This EO smells just like a fresh lemon peel. I love smelling it right out of the bottle. It is fresh, bright, and clean smelling. It has no synthetic smells to it at all. Smells very pure. I added it to a powdered cleaner recipe and it smells so wonderful. I use it to clean dishes, my oven and wash my dogs. Super clean smelling without harmful chemicals. I will definately buy this one again. I added a little May Chang EO to this to help anchor it in my shampoo bar recipe. I think I will add it to conditioner next. COMMENTS: I use this in my Lemon Kitchen Soap. Customers LOVE it! COMMENTS: Lemon EO is one of my favorite scents, I use it to make cp soap and sugar scrub for myself all the time. Now that I have discovered WSP I won’t be getting my Lemon EO anywhere else. Great price for a high quality EO. I use this stuff in everything! COMMENTS: I love this essential oil! I have tried many lemon oils from other places and they don't even come close to this one. This is part of a blend that is one of our top sellers. COMMENTS: I love this EO, used it for MP soap and shampoo, can't stop smelling my hair, the packaging cannot get better than this, love that they come in dark amber glass bottles, so less worries about keeping them in dark place. COMMENTS: I'm so glad I found this site, the quality of your products is extraordinary. "Lemon E.O. 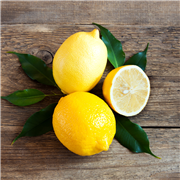 a basic need"
COMMENTS: This Lemon essential oil is wonderfully bright and clean and very lemony. I use it in many fragrance blends and it ends up in most of my products. Lemon will brighten a scent and sometimes is the ingredient that brings a blend together. It is one of my most prized essential oils. COMMENTS: i love the smell of this oil! I love it in mp ph cp, the scent seems to stay. I use it with bentonite clay as a mask for extra detox and antibacterial action. Helps with my acne. I also mix this with a lot of fo mixes for bath tea, balt salt and so on. great stuff! COMMENTS: this oil is great. has a nice fresh scent . "Love the smell and that it is all natural"
COMMENTS: I used this mostly in cold process soap 1 oz ppo. It has been about three weeks and although the fragrance lessened somewhat, i can still smell it and will definitely order again. This time i would probably mix with grapefruit EO or maybe another citrus fragrance oil. I expected that it would lighten some since it is citrus. I also mixed it with some other EO's for a coconut sugar scrub, and that smells awesome.! COMMENTS: This lemon essential oil is fabulous and holds up wonderfully in cp soaps, just remember not to insulate your molds when using a citrus scent or it will burn right out. 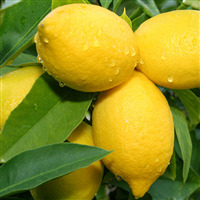 The lemon scent lasts a very long time, and my customers just love the lemony scent...very refreshing. Will continue to buy this product. COMMENTS: I searched high and low for a sweet lemon scent and this is it! Plus it's all natural. Wonderful lemon EO! COMMENTS: Purchased this to make Fisherman's Soap (recipe) which was an instant hit and also got orders for other products to be made using this essential oil. Very nice, true, and pleasant aroma! COMMENTS: Smells terrific. Works great in MP and Bath Bombs. "best lemon EO oil I have bought"
COMMENTS: excellent Lemon EO on all levels - I also use this for aromatherapy.